Tragic incidents such as young Malcolm’s death have once again highlighted growing concerns over the safety of passengers and the public. The death of a Year 1 student this week has once again raised concerns from parents about bus standards and safety. Six-year-old Malcolm Makasiale became the youngest road victim so far this year after allegedly being run over by a bus outside Marist Brothers Primary School at Suva Street. Even though bus owners make more than $100 million a year, ailing bus standards have become a major issue with many Fijians taking their concerns to social media. 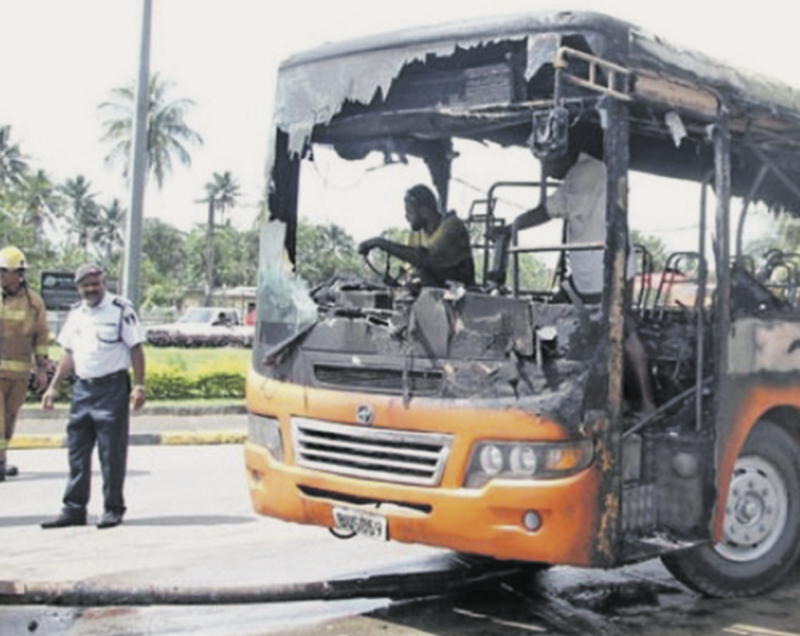 A Tebara bus heading from Suva to Nausori caught fire at the Nausori roundabout near the Nausori Health Centre in 2017. There have been several deaths caused by bus driver negligence, buses catching fire, numerous bus accidents and many other incidents in 2018 alone. 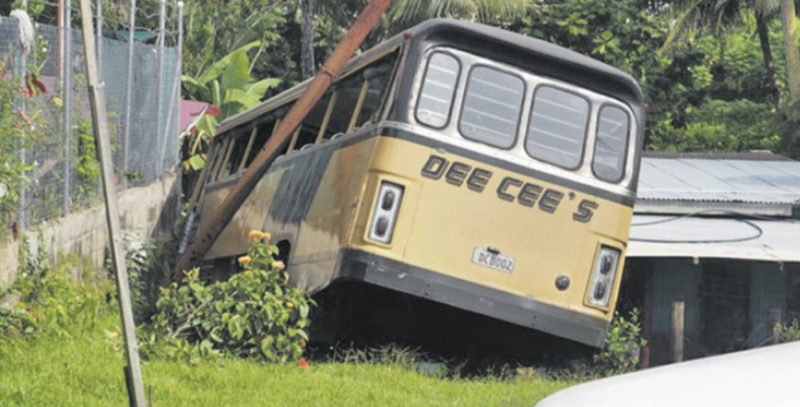 The Dee Cees bus that was involved in an accident with a private car and two taxis at Nadera, Nasinu, in 2015. Whether it is burning buses, broken seats, loud music, rough driving or fleets of buses belching out black smoke daily, one thing has become clear; the public no longer feels safe travelling in buses. 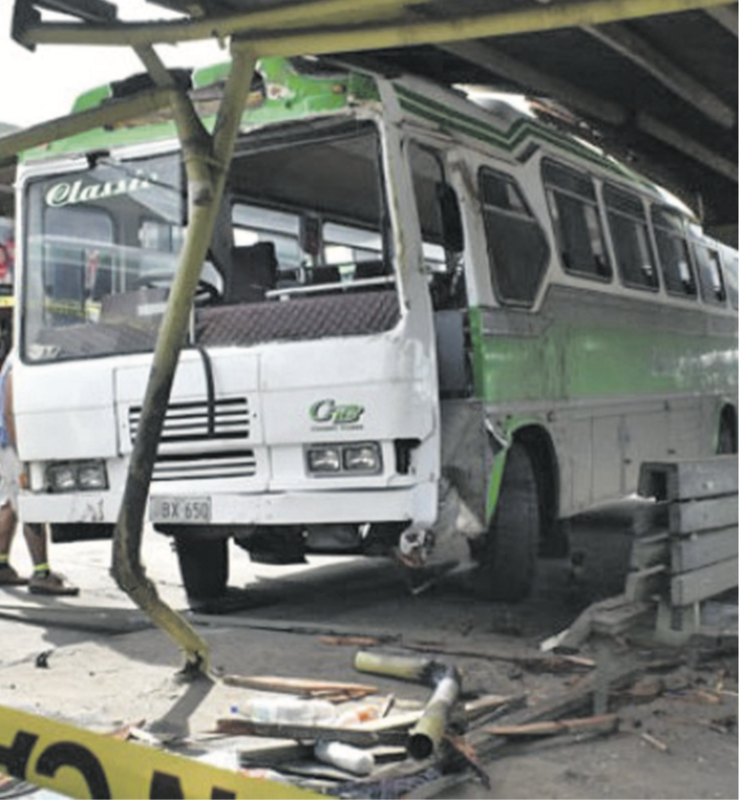 The accident scene at the Nadi Bus Stand in which a woman died last year. 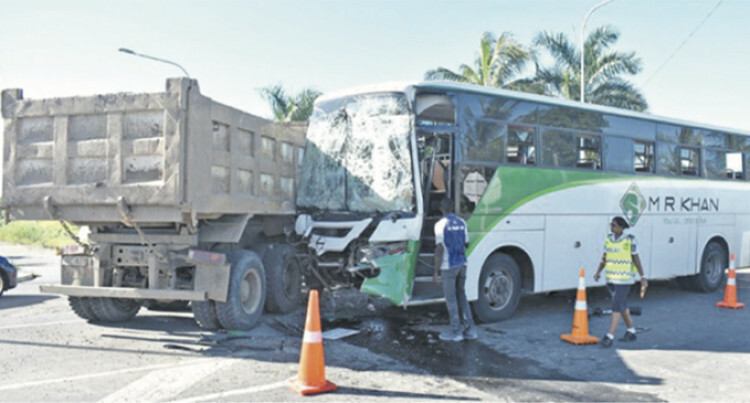 Are we compromising the safety of Fijians so that bus owners continue to make more money? All stakeholders, including bus owners and Government, now need to come together to discuss how to make our children and people safer when using bus services.